Maintainer Customer Bodies' booth at the recent FDIC International fire industry show drew record interest for the company. 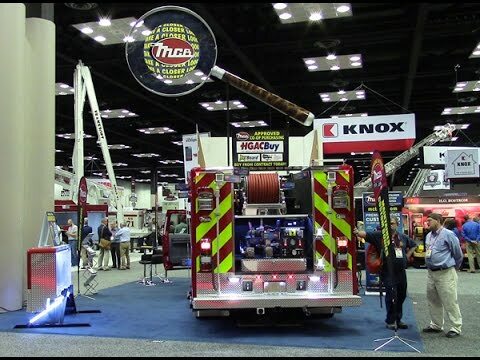 The MCB booth featured a 12' Quick Attack demo, a cutaway section of a rescue vehicle, and a 13' giant magnifying glass, all of which boosted traffic for the April 21-23 show at the Indiana Convention Center in Indianapolis. The truck, which is now exhibiting at the Northwest Fire & Rescue Expo in Eugene, Oregon, features a 300-gallon skid unit with 15 gallons of foam, Maintainer's patented Pressurized Storage System, DuaLock aluminum drawers, new IC lighted folding steps, and many, many more features mounted onto a Ford F550 4x4 crew cab chassis. More details on the demo can be found at this link: 12' QUICK ATTACK - Responder Series. Thanks to all those who took a "CLOSER LOOK" at the MCB Advantage! 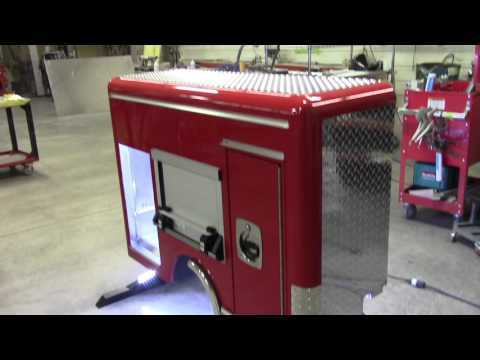 Maintainer Custom Bodies is inviting people to come "take a closer look" at its high-quality emergency vehicles during the upcoming FDIC International fire industry show. MCB is preparing an engaging display which involves larger-than-life and miniature size props, all of which will give attendees the chance to get a hands-on, inside look into the advantages that come with using an MCB emergency vehicle. MCB will also exhibit a Quick Attack demo unit that will be available for sale at the show. All are encouraged to look for MCB at BOOTH #4513 in the Indiana Convention Center in Indianapolis April 21-23. More info on the show can be found at www.fdic.com. Maintainer will also have a separate but nearby booth (#4511) to display the DuaLock™ Aluminum Drawer Sets. Maintainer will debut a new enclosed DuaLock™ that will work for mobile and stationary applications!